Real estate season is here, and experts are predicting the hot market conditions will continue throughout the summer in many states. Thinking of buying or selling? Here are the 2018 real estate trends you need to know, and what the hot market means for your house. In February 2018, Realtor.com data showed that properties were selling 8% quicker than the same time last year—staying on the market for a median of only 83 days! In March 2018, the data found that homes sold (at least!) a whole week faster than last year in 36% of the largest housing markets in the country—averaging 63 days on the market. Clearly this is great news for home sellers! Not only does it mean your home could sell at a higher price (more on that later), but it also removes a lot of pressure you might be under to sell your home quickly. With plenty of buyers to choose from, you have a lot of negotiating power to sell on a timeline that works best for you. Woohoo! Prepare finances. If you haven’t saved 100% in cash for the home you want, at least get preapproved for a 15-year fixed-rate mortgage and save up a 10 to 20% down payment. (A 20% down payment is better—you’ll avoid having to pay private mortgage insurance.) This will show you’re a serious buyer because you’ve already started the mortgage process—which isn’t common among all buyers placing offers. Know what you want. You’ll be able to beat competitors to the punch and make an offer faster if you already know exactly what you want in a home. If you’re married and house hunting, you and your spouse need to agree on must-haves! So first create separate lists of what you want most. Then compare and combine those lists for your real estate agent to use as the foundation of your home search. Write a letter. Sending a personal story to your seller might be just the thing that makes you stand out over similar offers Nashville couple Abby and John B. included a personal letter when they made an offer on their home. They believe it’s the reason their offer beat the heavy competition. "We sent the sellers a personal letter with our offer," Abby said. "The best thing you can do is to include in the letter things you love about their house. If they have a deck or screened-in porch, tell them how you envision using the space. We did that, and the sellers accepted our offer—out of multiple offers—within 24 hours." Hire an experienced pro. 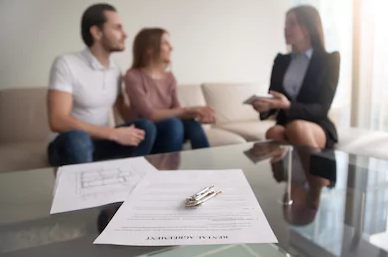 If you don’t operate in the real estate business every day, working through the complex details that go into a home purchase in a hot market could cause costly delays. In such a competitive market, why shouldn’t a seller choose to work with a buyer who’s more prepared? That’s why you want to partner with a seasoned real estate agent and mortgage lender who has a great reputation in the community. A good agent is an expert at negotiations and can manage detailed paperwork and closing so you don’t miss your chance on a great home.